The hairstyles are here and it is time to get that party started! Brunette may be the new blonde, but blondes still have a lot of fun, just look at all this texture in the cuts! 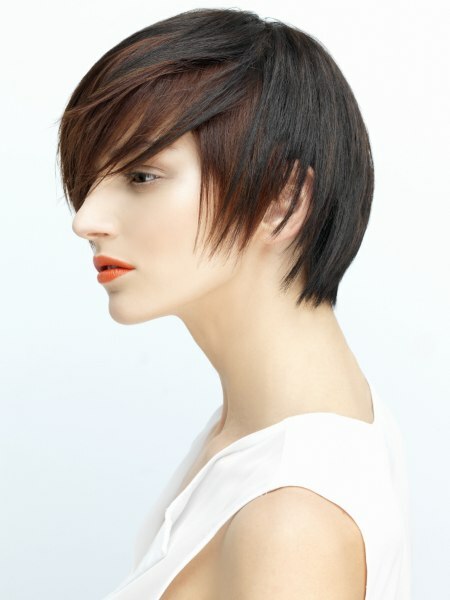 A series of platinum, golden, brown and black hair colors are gathered in this sizzling new collection by Paul Gehring. The influence and inspiration for these fluid forms with their sensual dynamic were hot looks from the 80s and what an exciting déjà vu it is! Rock and punk provide the soundtrack for the long and short styles that are brimming with attitude and power. The most outstanding feature in this collection is the soft but intense texture that creates a feathery volume and gently spiked edges.